I haven’t had a look at Mars through my telescope yet this year, but I have seen it with the naked eye a few times, when I’ve been out late at night. Mars has been much on my mind lately, because I’ve been rereading the Mars novels of Edgar Rice Burroughs. The first book, A Princess of Mars, follows the adventures of John Carter, an ex-Confederate officer who is mysteriously transported from the desert southwest to the desert planet. He is captured by warlike Martians, falls in love with a human princess, and goes through a series of chases, escapes, imprisonments, arena battles, and deadly duels. The tale was first published in serial form in 1912, when the “canal” theory of Mars was at its most popular. The Mars of Burroughs’ novels, known as Barsoom by its inhabitants, is only sustained in a habitable state by the high technology of the dwindling races of Martians, in particular the canal system and the “atmosphere plants” that produce and distribute breathable air. The canal theory is a historical curiosity now; when modern astronomers get excited about Martian water, it’s over braided fluvial systems that seem to change from year to year, based on high-resolution photos from the Mars Reconnaissance Orbiter. Burroughs’ Mars books are all ripping adventure yarns and they inspired much of the pulp science fiction of the early 20th century–and many of the science fiction films of more recent years, from Star Wars to Avatar. That circle is about to be completed: in this 100th anniversary of the first publication of A Princess of Mars, the story is finally coming to the big screen, in Disney’s John Carter, set to be released on March 9. Needless to say, I’m looking forward to the movie. But I’m also looking forward to hauling out a telescope and having a good look at the red planet. The thing that always gets me about seeing planets through a telescope is that I am forcefully confronted with how real they are. 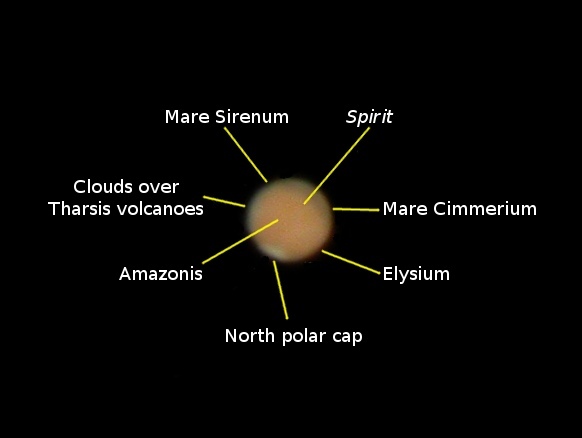 Of course, nebulae and galaxies and everything else “up there” is equally real, but as much as I love those things they don’t have the same mythic hold on me as the planets. Even when I look up with my naked eyes and see Mars, I experience a curious sense of dislocation, knowing that Mars is really there. The canals may be (human) history, but the ice caps and canyons and volcanoes and dust storms are all just as real as you or me. And at least a handful of Earthlings really have been transported to Mars and have left their tracks on its dry, dusty plains. The fact that these have all been robots so far should not discourage us. To paraphrase Carl Sagan, Mars calls to us, possibly in a more profound and mysterious way than any other heavenly body. I don’t know exactly when we’ll get there, but I think we will actually get there, and have adventures no less exciting than those of John Carter. I’m going a lot sooner. I have this weird device in my garage. It looks like a small water heater, but it’s really a transporter. Very soon, I’m going to Mars. I’ll let you know if I ever come back. 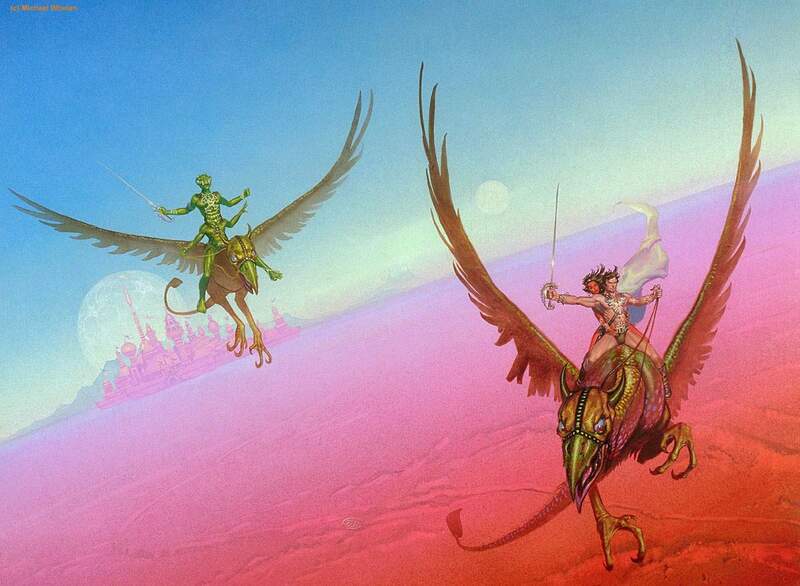 If you’ve never read A Princess of Mars or the rest of Burroughs’ Barsoom novels, you can start right now, for free. Most are in the public domain, and you can find them at Project Gutenberg, and on Amazon in free Kindle versions, and probably elsewhere on the web as well. For more of my thoughts on the upcoming movie, go here, and for my previous posts on the real Mars, go here. You are currently browsing the 10 Minute Astronomy blog archives for the day Monday, February 6th, 2012.